John R. Reed lost his college savings as a result of the banking collapse during the Great Depression and took a job as a salesman for McKnight-Keaton, a wholesale grocery company in Sikeston, Missouri. Mr. Reed would ride the ferry boats across the Mississippi and Ohio rivers in order to call on merchants in Kentucky, Tennessee, and Missouri. He was promoted to Manager and met his wife, Dorothy Dudley, whom he married in 1935. Their daughter Marilyn was born in 1942. In the early 1950’s Mr. Reed joined the Woodward Hardware Company as General Manager at a salary of $10,000 per year. In 1958 Woodward attracted the attention of larger companies and Mr. Reed advised the owners that conditions were right for the company to be sold. He traveled to Louisville, Kentucky and negotiated the sale of the company to Stratton & Terstegge. Stratton & Terstegge later became known as S&T Industries and grew into one of the largest manufacturing and wholesaling companies in the nation. With the sale of Woodward complete, Mr. Reed answered an ad in the St. Louis Globe Democrat and was hired as a stockbroker for Edward D. Jones & Co in 1960. At the time of his hiring, Ted Jones, son of Edward D. Jones, had embarked on a novel plan to open investment offices in small towns across the country. 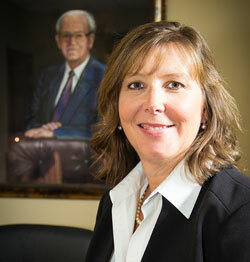 At the time Mr. Reed joined Edward D. Jones & Co., the firm had only nine offices. 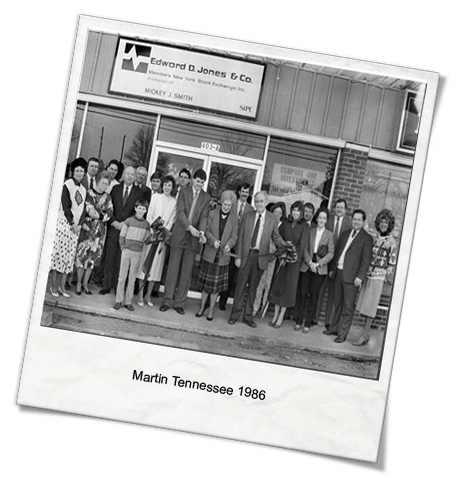 In 1968 John & Dorothy Reed moved to Union City to establish the first Edward Jones office in the state of Tennessee. His office consistently ranked number one in the firm with over $80 million in assets under management. He became a partner in 1974, hired and trained numerous investment representatives including Mickey Smith, who took over the office in 1987. Mr. Reed continued to research investments and enjoyed trading stocks until his death in 1997.